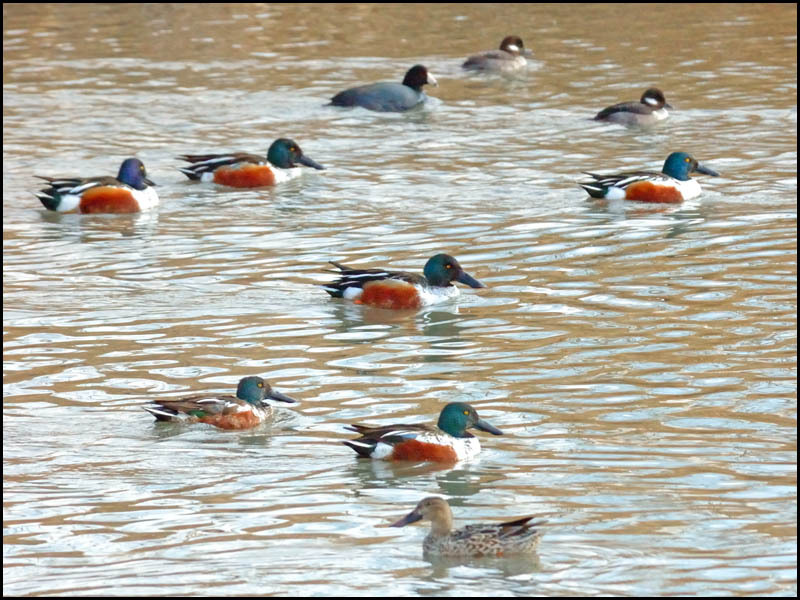 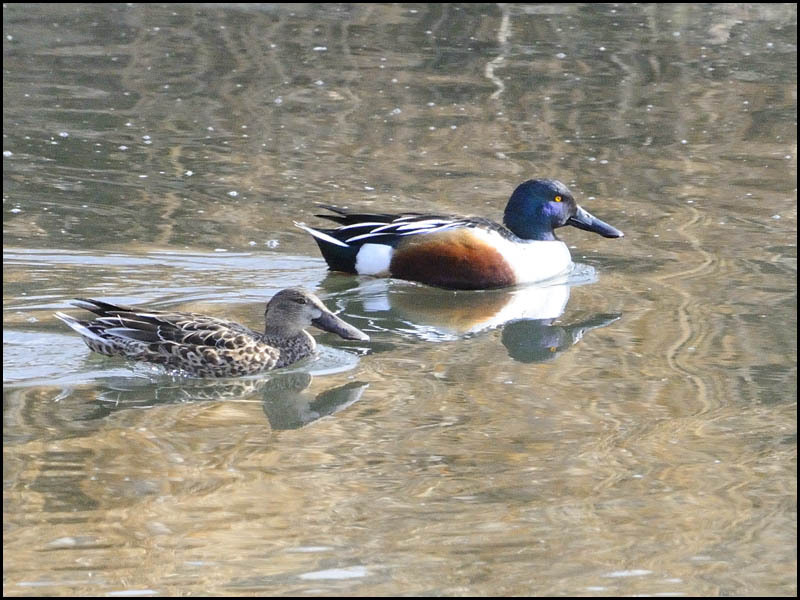 Here we see a pair of Northern Shovelers. 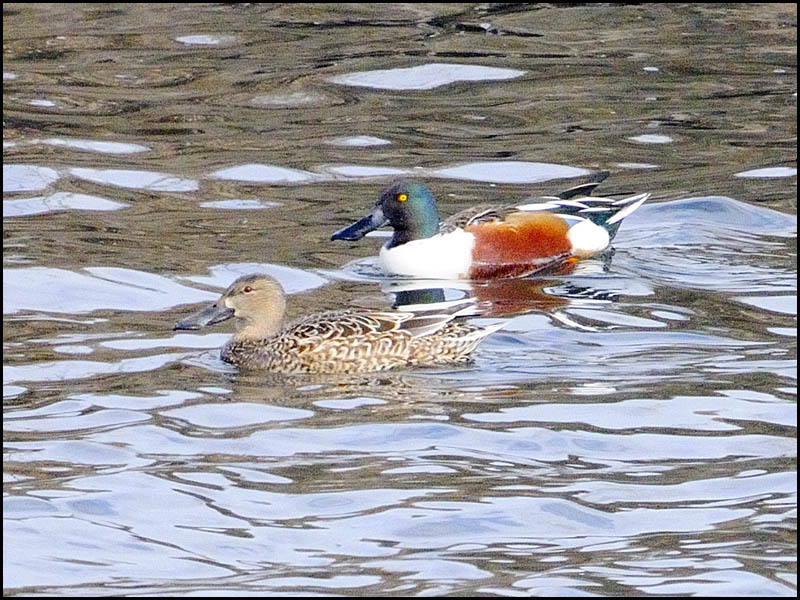 I jokingly say the Northern Shoveler was a "first draft" as Providence designed the Mallard! 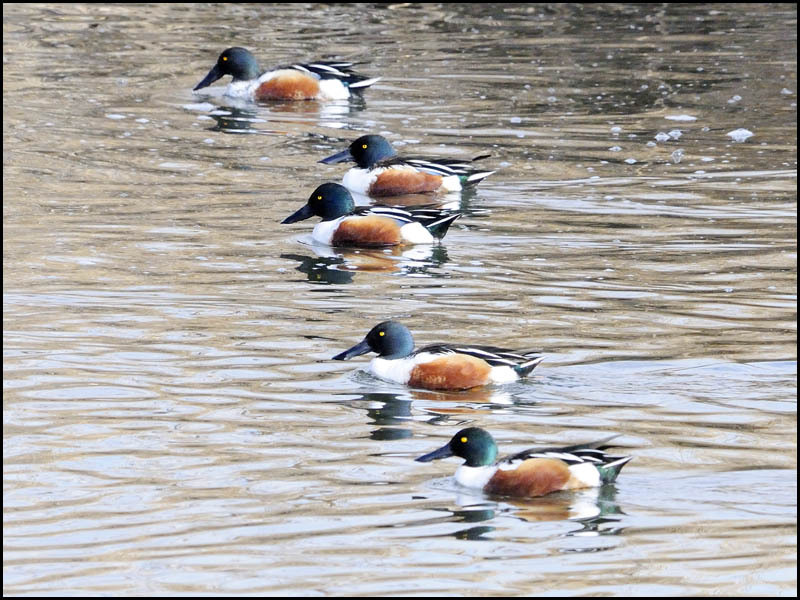 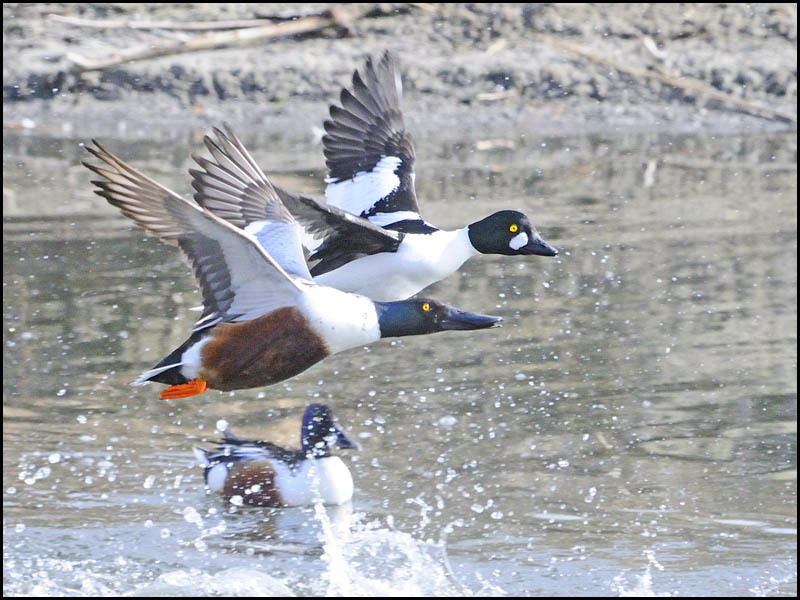 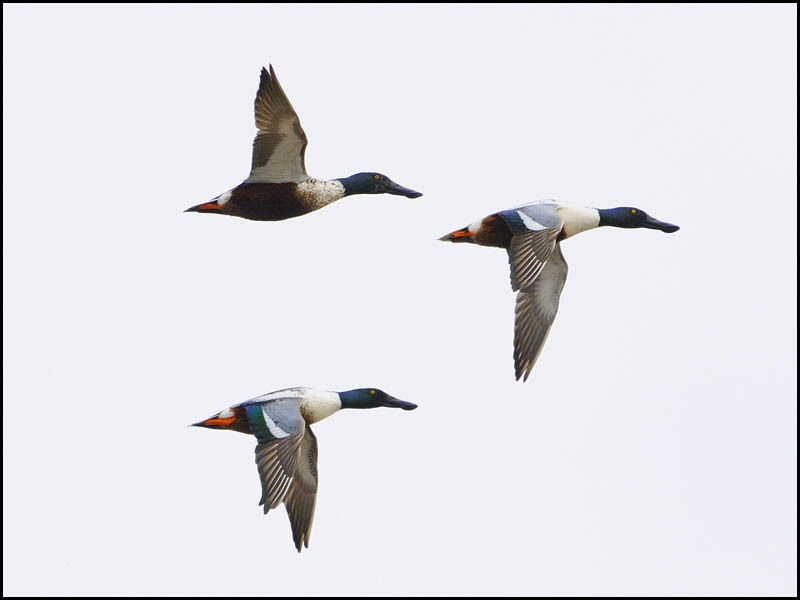 A male Northern Shoveler takes flight in company with unlikely companion... a Goldeneye! 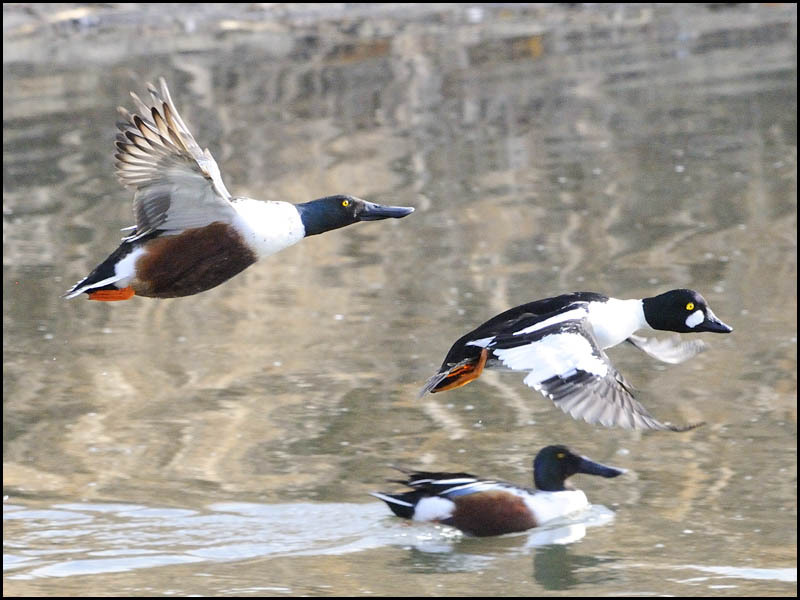 A side-view of this bird in flight emphasizes the idea that it might have truly been a "first draft"!